The Eastern Shore didn't have as much to deal with as some areas on the Western Shore. Still the “land of pleasant” living wasn't spared completely of Mother Nature’s white blanket. 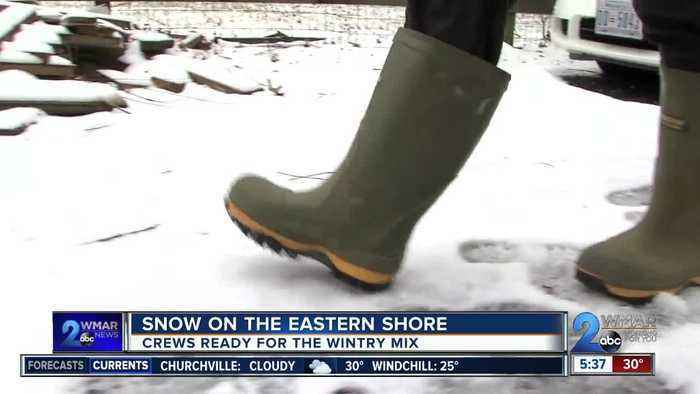 With snow on the ground about as thick as a steamed crab, the Eastern Shore faired pretty well with this storm. The snow did not accumulate on the roads. Scott Hass is the Director of the Department of Emergency Services for Queen Anne's County. This winter has not taken a big bite out of the snow cleanup budget yet this year for the county. “We haven't had any major events this year to really pull us out for any extended period of time,” Hass said.